In most countries worldwide, the vast majority of construction industry professionals are aware of the concept of building information modelling (BIM). However, whether they use it or not is another question entirely. This is according to the NBS International BIM Report 2016, which was published last month (February 25th) and provides a snapshot of BIM maturity across five markets: the UK, the Czech Republic, Canada, Japan and Denmark. The study found that in four of those countries, more than nine out of ten construction industry professionals are aware of BIM. The figure is highest in Canada (98 per cent), followed by Denmark (96 per cent) and the UK (95 per cent). The Czech Republic is the outlier, with awareness at just 51 per cent – although the report’s authors commented that “we can expect this to rise rapidly, as we have seen in other countries”. In terms of adoption rates, however, the survey results vary wildly. In the UK, fewer than half (48 per cent) of respondents said they currently use BIM – a modest increase of nine percentage points since 2013. In Denmark, a more respectable 78 per cent of construction industry professionals are BIM users, and the figure in Canada is 67 per cent. 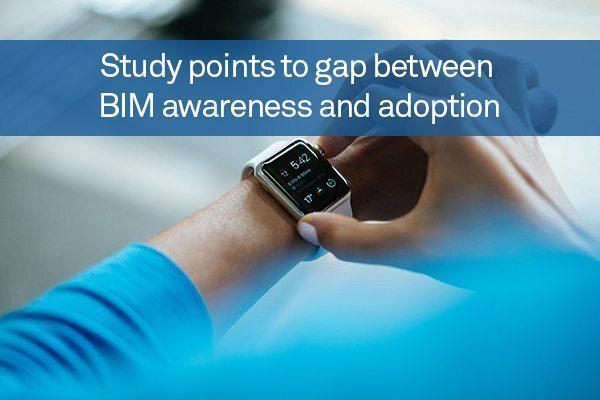 The report’s authors noted that because of the collaborative nature of BIM, we should exercise some caution when reading into these adoption rates. “As a country becomes more mature in BIM adoption, the criteria for describing oneself as practising it may become more demanding,” they said. Nonetheless, it seems that much of the construction industry is committed to a future in which BIM occupies a central role. The study found that 83 per cent of UK respondents expect to either start using or expand their use of BIM within the next 12 months – a significant increase on the current adoption rate, and no doubt spurred in part by the government’s stipulation that all public sector building contracts should use BIM by 2016. Moreover, 95 per cent of these respondents expect to be using BIM within half a decade – the highest figure for any country. “If people’s intentions become professional practice, the next five years will see a very rapid transformation in how information about buildings is created, shared and used,” the report said.